i agree, this would be amazing to win. it would be nice to win . Count me in! I love free stuff!!! iT WOULD BE THE BEST CHRISTMAS I WOULD EVER HAD. This would come in handy for the holidays! 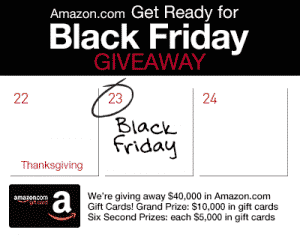 I have heard alot about Amazon.They say how wonderful it is and would love to win so I can try it! If I won this ,it would help me get my rent and bills caught up. really like this giveaway !!!!! I love to read. best place to by books!